The traditional Mexican bingo game called Loteria was created in 1769. Today, the colourful imagery has become iconic and is used everywhere from classrooms to advertising to artwork. Small children can play this bingo-like game by finding matching pictures, while older children and adults can play while learning new Spanish vocabulary. For all of you crafty folk, these images are so beautiful they can be used for scrapbooking, making greetings cards, miniature shrines, altered art, decoupage items and loads of other projects. 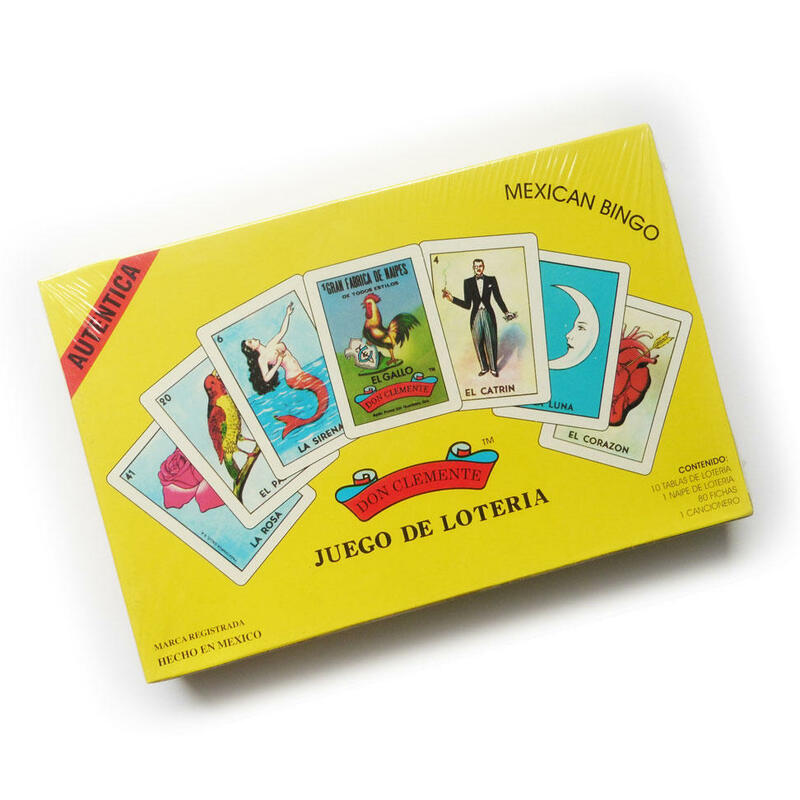 Each set contains 10 loteria sheets, 1 deck of loteria cards and playing pieces.